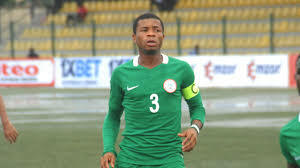 Paul Aigbogun’s charges will begin their quest for Nigeria’s eighth title when they face minnows Burundi at the Stade Seyni Kountche, Niamey. Cup to be hosted by Poland in May. Udoh, who plays for Nigeria Professional Football League club, Enyimba reckons a win will boost their confidence ahead of subsequent games in the competition. “It is important we start the competition on a good note by beating Burundi. We don’t want to put ourselves under pressure, so the best thing is for us to go for a win in the game,” Udoh informed Completesports.com. “I know they are not one of the big names on the continent, but we have to respect them and give our best. All the eight teams here have the potentials to win the competition. The Flying Eagles will also face South Africa on Tuesday, February 5 and the hosts Niger Republic on Friday, February 8..